Here's another wonderful prize from a giveaway I won late last year. 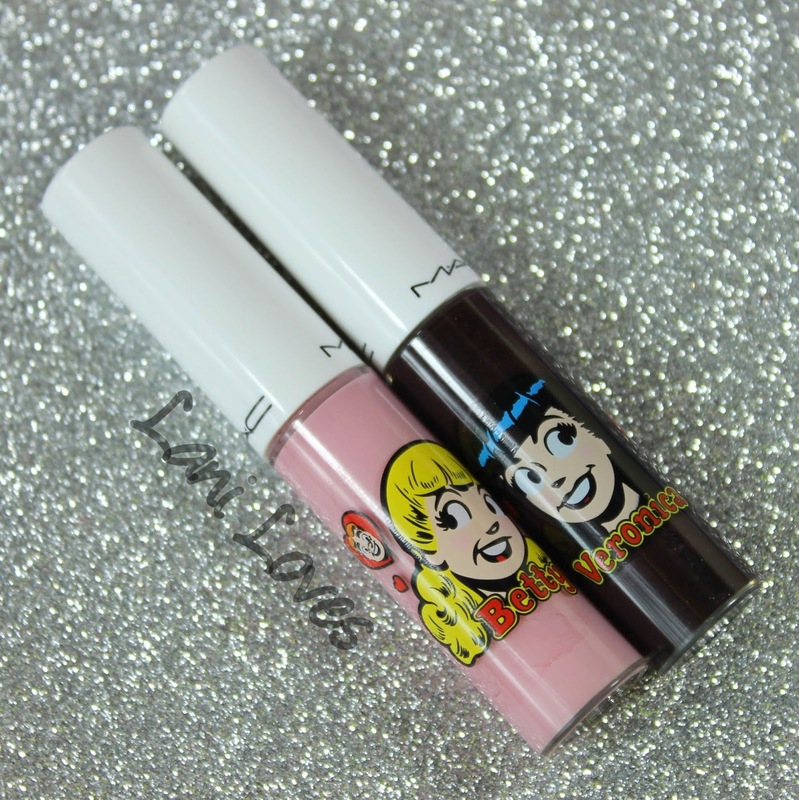 I was pretty excited to try out these MAC lipglasses from the Archie's Girls collection (February 2013), which sold out at our local counter before I had a chance to pop in. I've been gradually picking things up from the collection since, but hadn't yet bought any of the lipglasses because I'm not the biggest fan of their thick and tacky texture. Plus, wearing lipgloss in Windy Wellington often goes into the too hard basket. Who has time to peel their hair off of their lips constantly? Winning them however, bypassed my self imposed lipglass ban, no justification necessary! 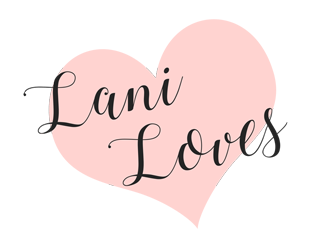 Let's talk packaging: everything in this collection is freaking adorable! 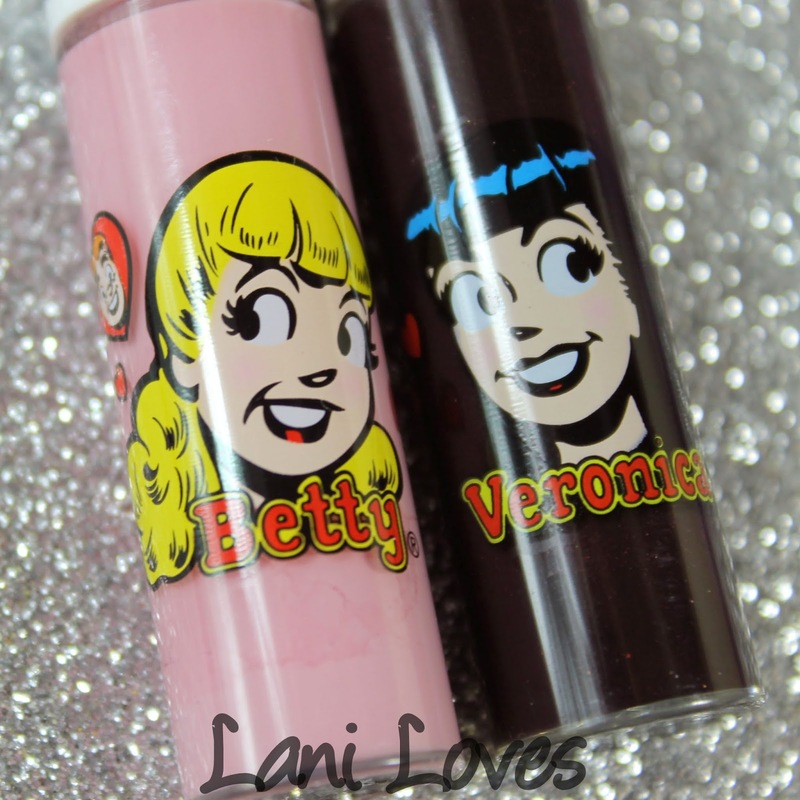 The collection was divided into Betty and Veronica colour stories, with Betty's being more pastel and saccharine, while Veronica's was bolder, featuring edgy plum, violet and classic red. 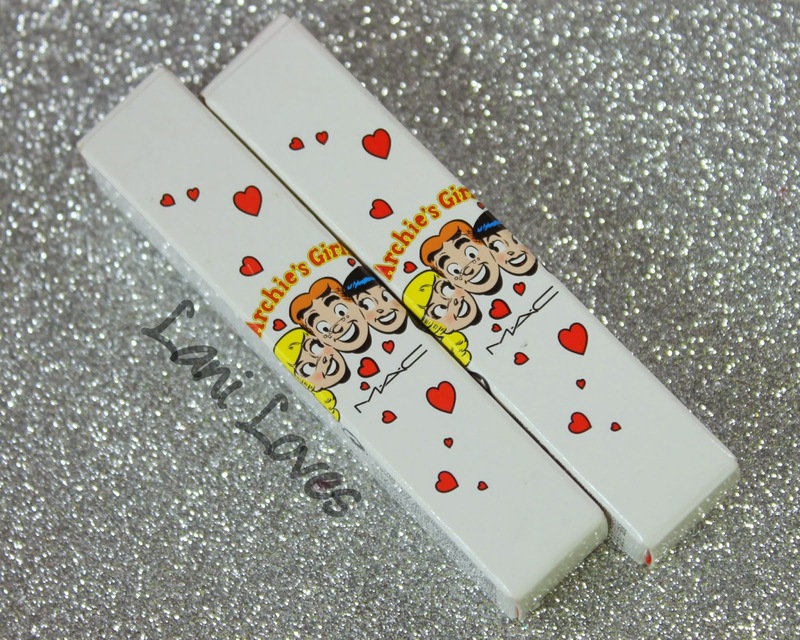 Each character appears on the product packaging of their respective colour stories, alone on the products and together with Archie on the boxes. Receiving a lipgloss from each girl meant I could pose them together too, always a bonus! 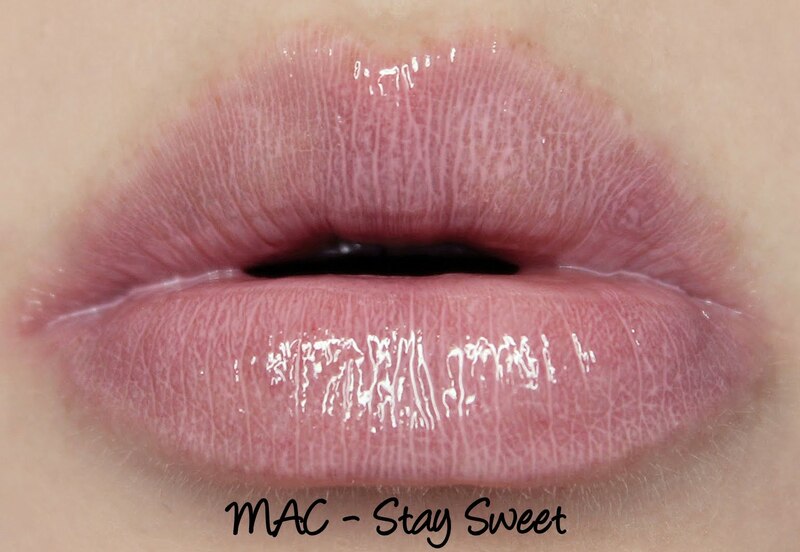 MAC's lipglass packaging feels sturdy enough and contains a doe foot applicator which does a great job of spreading the gloss evenly (or as evenly as the formula will allow, as you'll see below). Lipglasses have a sweet synthetic vanilla scent. 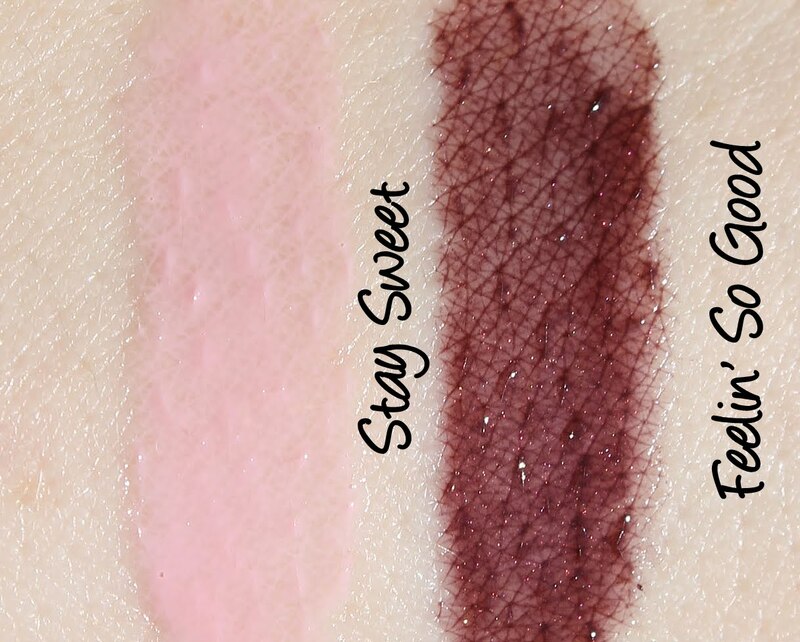 Stay Sweet is a milky cool pink creme. It settles into lip lines terribly but despite that, I really love it. Stay Sweet isn't a shade I would have ever picked for myself, giving it a shot after winning it has opened me to up trying other cool toned pinks like this, which I'd previously written off as unflattering. 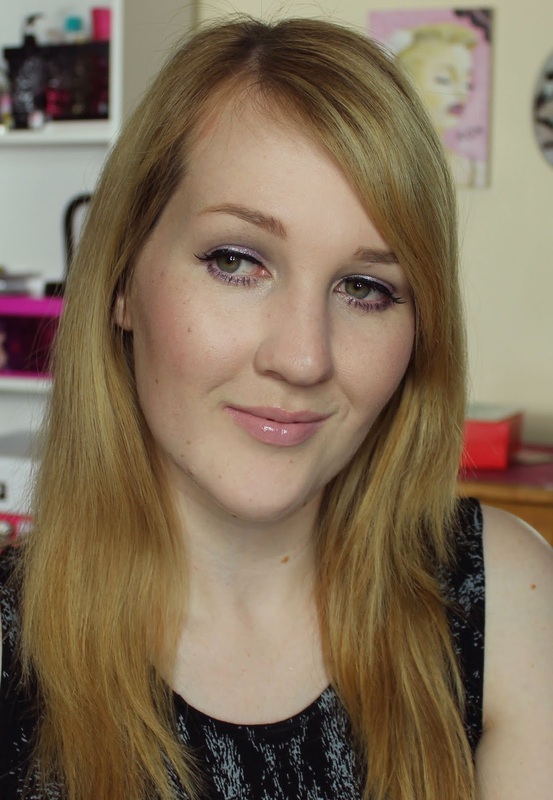 The lip lines aren't so noticeable from a distance but I'd still like to try and find a co-ordinating lipliner to minimize them (anyone have any recommendations?). Stay Sweet lasts for three hours on me with the colour mostly fading after this time. A balmy shine still remained though. 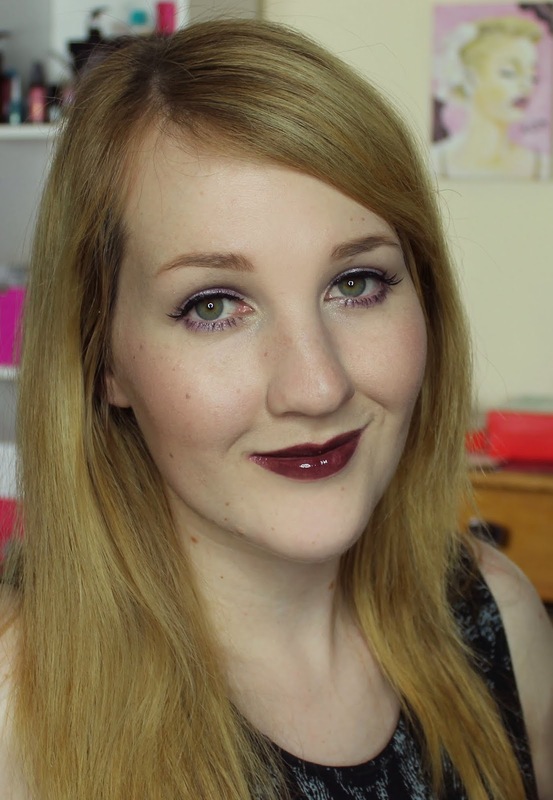 Feelin' So Good is a vampy burgundy with sparse shimmer. 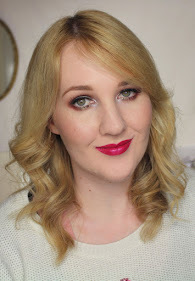 The colour pay off is okay but unfortunately very uneven and with the thickness of MAC Lipglass, layering it further to try and even it out quickly becomes a tacky, viscous mess. I think it would be beautiful over a matching lipliner, perhaps MAC Currant, which I don't yet own, or Vino (which I must try pairing it with!). When I tested Feelin' So Good, it wore well for three hours, after which the colour faded gradually, leaving behind the same balmy shine that I experienced with Stay Sweet. Do you own anything from the Archie's Girls collection? Is Betty or Veronica your favourite character? I don't have anything from the Archie's collection! I wish I did though, the packaging is just so cute. I've always liked Betty! I love MAC Lipglass! & The Archie's Girls collection packaging is too cute :3 I have one of their lipsticks which I still have in original packaging, never been used haha >.< I'd always go for the cutesey pink and girly shades, but I am lovin' the look of Feeling So Good!